To attract the best and the brightest, you need to begin by understanding your target audience. What does tech talent want from recruiters? What do they value, how do they want to be communicated with, and how can you change your approach to target and capture the people and skillsets your organization needs? 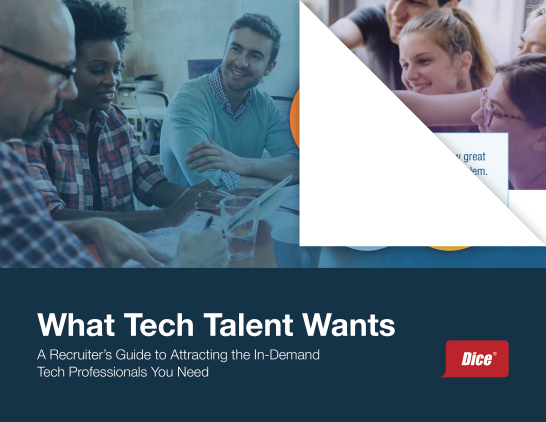 Download Dice's new eBook, What Tech Talent Wants, to learn exactly how you can attract these in-demand tech pros. You'll get seven steps you can start implementing today and hear from actual candidates on what approaches turn them on – and off.